The Daily Pitch is reporting that Frank and Jamie McCourt have reached a divorce agreement that will give Frank McCourt, the Los Angeles Dodgers Owner, sole control over the Dodgers. Jamie McCourt, on the other hand, will be leaving the marriage with a hefty $130 million in her pocket. The settlement is believed to be the costliest divorce in California history. 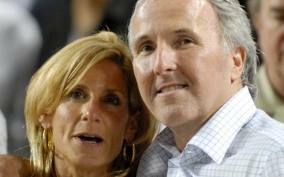 As a Jacksonville Divorce Attorney, I can’t help but think of how less costly the McCourt’s divorce could have been had they worked together and agreed to settle nearly two years ago. In Jacksonville, I see clients argue over the most insignificant things because they are experiencing so many emotions due to the divorce. I can only assume that is what the McCourts did, except for on a much larger financial scale. I personally tell my Jacksonville clients to look at the big picture and to try to take emotions out of the decision making as much as possible. This is often a difficult thing for clients to do, however; I know in the long run it is the best way to go about a divorce. If you are in the Jacksonville, Florida area and are currently going through a divorce or are contemplating filing for divorce contact a Jacksonville Divorce Attorney today. Call Law Office of David M. Goldman (904) 685-1200 to schedule a free consultation. Night and weekend appointments available.